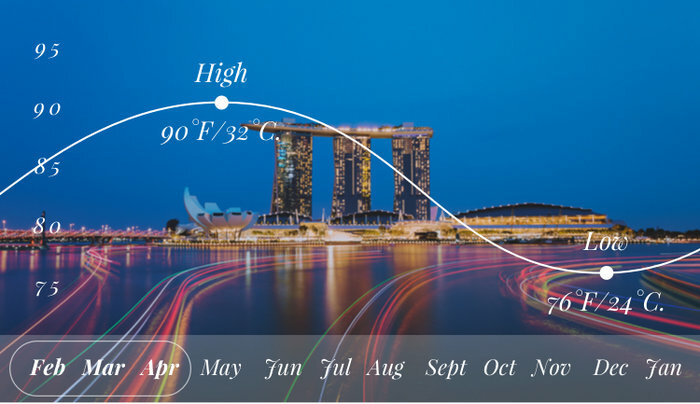 Singapore has been waiting for its day in the Sun, it is here! Over the past 10 years, the nation has been building up its infrastructure along with a sparkling reputation for modern innovation and high-class luxury. Now, the City-State is getting its due, proving itself a star among Asia’s finest for travelers of all kinds. 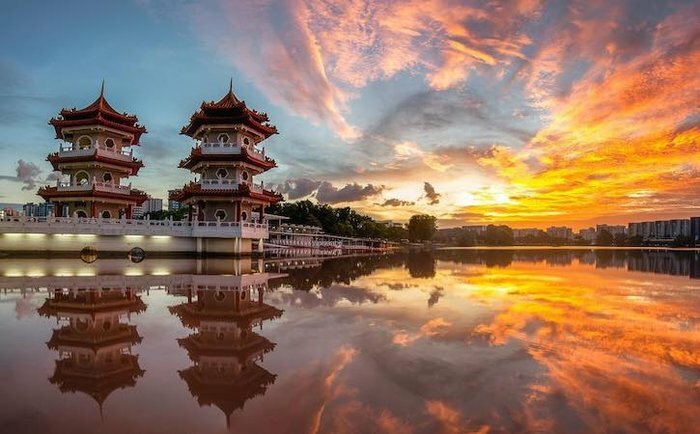 Seamlessly blending Indian, Chinese, and Malaysian culture, with awe-inspiring green spaces and groundbreaking technology, Singapore is ready for you. 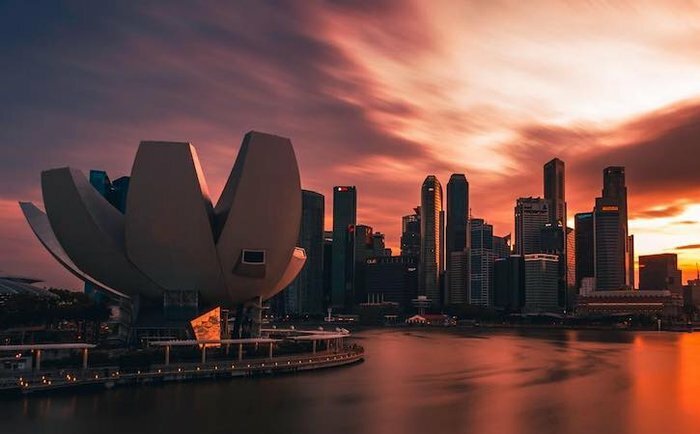 Singapore is one of only 3 City-States in the world. It’s also an island nation, with one main island and 62 offshore islands. It is true, chewing gum has been banned since Y 1992. Cool and breezy are 2 words that are not used to describe Singapore. This city is generally hot and humid, with soaring temperatures in the Summer and rain throughout the Winter. The best time to visit is after the rain stops and before the heat kicks up, generally February to April. There are fewer public holidays in this time frame so exploring the city is easier. 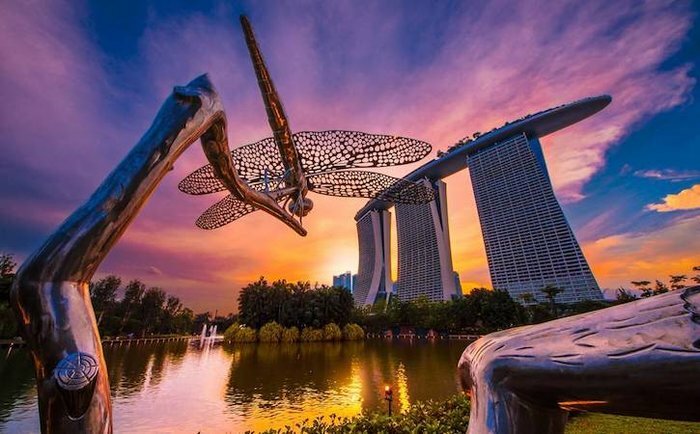 Travelers know Singapore by its Gardens by the Bay. Call up any image online and you’re sure to see the sparkling Supertrees glittering by the still water. This is a place not to miss. 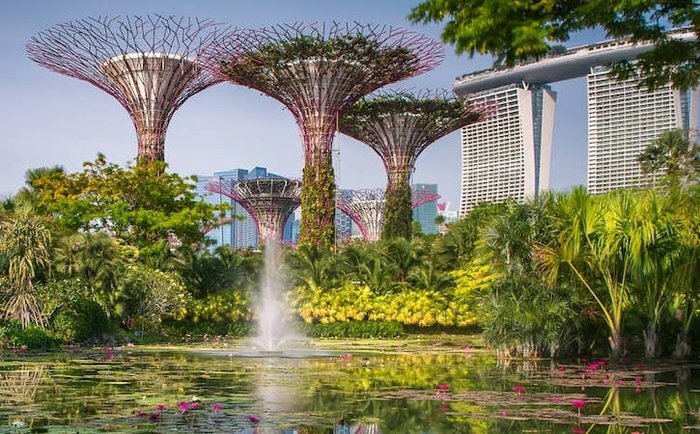 Gardens by the Bay is a stunning nature park featuring 3 waterfall gardens, 1 of which houses massive Supertrees that you can walk between via suspended walkways. Time your visit to the Cloud Forest to see the vegetation-covered mountain engulfed in mist, and be sure to pose in front of the waterfall. If you have not had enough, go over to the Singapore Botanic Gardens, a UNESCO site that features thousands of orchids and other tropical vegetation. Sing. is known for its shining downtown skyline, is also home to several neighborhoods that offer a tour through the best of multiple Asian cultures. From the Hindu temples of Little India to the paper lanterns of Chinatown, each neighborhood immerses you in a new corner of Asia. Between the cultural enclaves you can find a neighborhood to fit your style: quiet and calm, young and hipster, or elegant and historic. Each region boasts shops, restaurants, and decor to fit your travel style. Traveling with children is not a problem. Outside the main island lies an entertainment center better than Disneyland. Sentosa Island has everything you need to entertain your children and yourself for days. 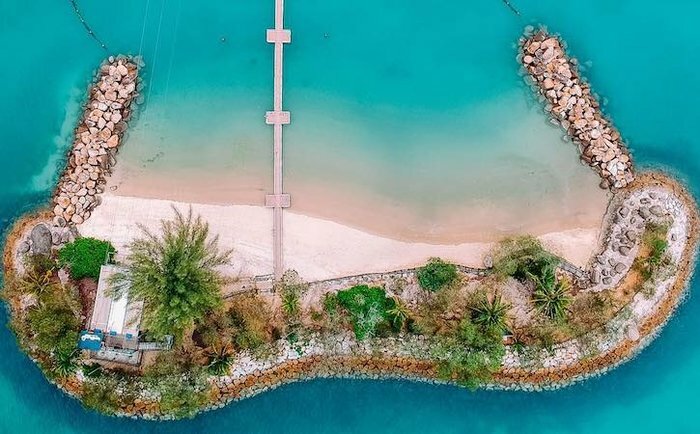 From a thrilling water park, to Universal Studios Singapore, to stunning beaches, there is plenty here to capture your attention. Stay in 1 of the island’s resorts and enjoy Tanjong Beach before strapping in for a zip line at the Adventure Park. Also, super Spa treatments, outdoor movies, and world-class golf. Singapore takes everything to the next level, and if you still have time and energy there is lot more to see. Try fascinating exhibitions on technology and innovation in a giant, lotus-shaped building on the water. Or the world’s largest public collection of Southeast Asian art in a beautifully restored building at the National Gallery. Maybe the artsy boutiques and burgeoning designers in shop houses along Haji Lane will entrance you. Or a high-end mall with a canal running through the middle of the shops. Not too many destinations can boast these experiences. Enjoy Singapore, it is a fabulous place to visit.